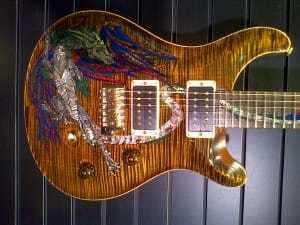 Limited to 40 pieces worldwide, PRS have announced the 30th Anniversary Dragon. The Private Stock 30th Anniversary Dragon nods toward history with a “pre-factory” style carved top and a pre-factory style Pattern Regular neck. The extraordinary Private Stock grade tone woods were hand selected for this very limited series and include a curly maple top, African ribbon mahogany back, and mahogany neck with a 24 fret Madagascar rosewood fingerboard. Newly introduced 85/15 treble and bass pickups define the tone with power, versatility, and clarity. The 30th Anniversary Dragon’s gold-plated hardware includes PRS Phase III locking tuners and the PRS patented tremolo system. 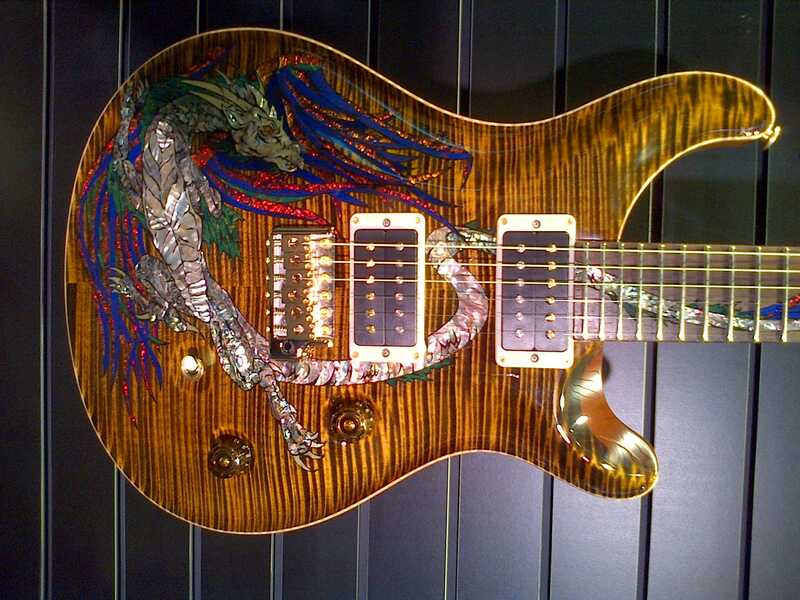 The visual star of the guitar is the elaborate, fantastical dragon inlay designed by Jeff Easley, a fantasy artist famous for some of Dungeons & Dragons rulebook covers. 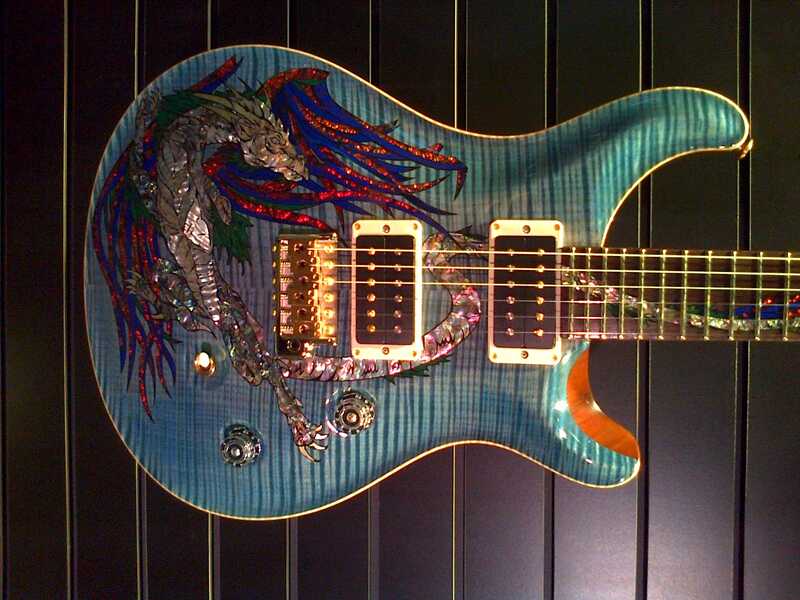 PRS Guitars engaged Aulson Inlay, to deconstruct Easley’s artwork and recreate it into several distinctive sections that have been embedded into the body of the guitar and conclude with the dragon’s tail whipping up the fretboard. The finished product includes more than 285 parts fashioned from a wide array of inlay materials including most prominently: jade, azurite, lapis, pyrite, abalone, and mother of pearl. 30th Anniversary Dragons are available in two PRS high-gloss colors: Tiger Eye and Nightshade. The Private Stock 30th Anniversary Dragon will be limited to 40 pieces, with the initial prototype already committed to be a significant feature in the Museum for Musical Instruments guitar exhibit in Phoenix, Arizona.